You may have seen pictures of these two ice cream substitutes floating around "fitness" Instagram accounts. I am definitely an ice cream binge-eater, and during summertime especially I can polish off a pint without much thought. That can be a problem considering ice cream's not exactly a health food. 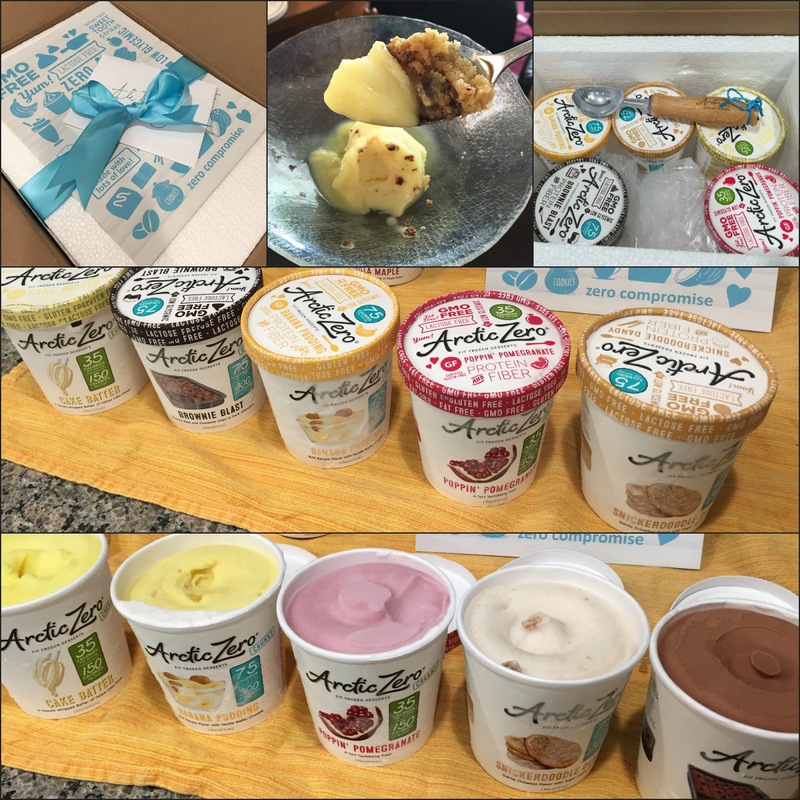 Enter Wink Frozen Desserts and Arctic Zero Fit Frozen Desserts. Both of these brands boast lower fat content, lower sugar, and higher protein than regular ice cream. 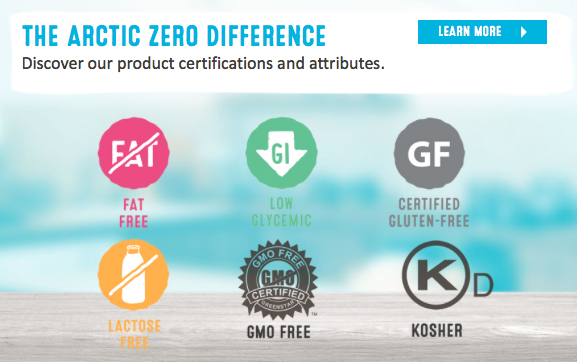 I honestly don't care about GMOs or any of the other "allergen free" stuff, although it's nice to see so many gluten free options. I was intrigued, so I bought myself some Wink first. Due to cost of shipping, you have to buy at least four flavors at a time. (If you buy six, they ship for free.) All of Wink's flavors are gluten free so I had a lot to choose from. They arrived packed in dry ice and perfectly frozen. My first impression was kind of a let down. The desserts are definitely not ice cream. They're closer to a granita or Italian ice...very icy and brittle. The flavors aren't as strong as traditional ice cream, and there was a definitely protein aftertaste I didn't quite like. I tried Cake Batter with a little chocolate syrup and sprinkles, but the texture and flavor still wasn't what I look for in a dessert. I did find that by allowing them to thaw a little (about 10 minutes) before eating, the texture and flavor improves, but that aftertaste is just a deal breaker for me. Matt doesn't notice it, though! I've always been sensitive to protein-powdery flavors. The bottom line here: I could totally dig the texture if the flavors were stronger and the aftertaste wasn't an issue. 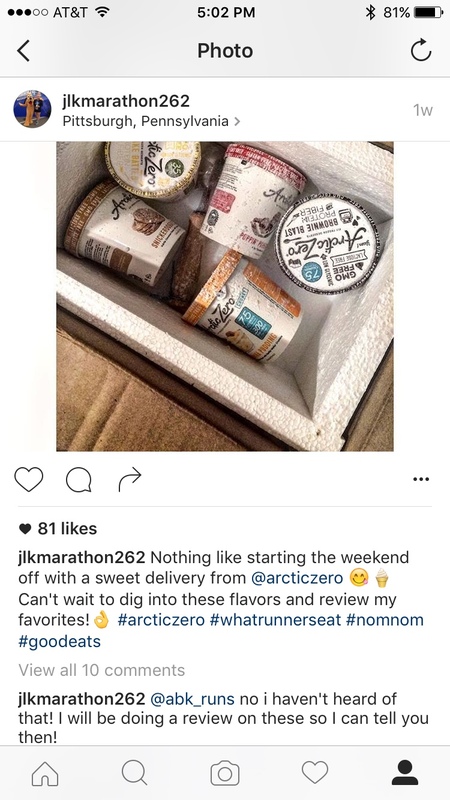 A fellow runner had posted about her Arctic Zero experience on Instagram, so I commented asking if they were creamy because Wink had disappointed me. The next day, Arctic Zero emailed me offering a free "care package" so I could try their desserts. Of course I said yes and requested all gluten free flavors, because unlike Wink, some of theirs include cookie and brownie pieces. AZ arrived overnight, came adorably packaged, and included an ice cream scooper! Because they were already a bit thawed from their trip (their dry ice hadn't held up quite as well as Wink's), I dove right in to the taste test. Allergies got my eyes looking rough...sorry about the closeup, guys. Also sorry for the "zero guilt" label...It would be cool if they'd drop that. First of all, AZ sent five flavors and two aren't gluten free, so I was disappointed not to be able to try those. But I was very pleased with the flavors I could eat. They're definitely creamier than Wink and do not have a weird protein taste at all. I enjoyed the Cake Batter flavor with a mug cake and it was divine. 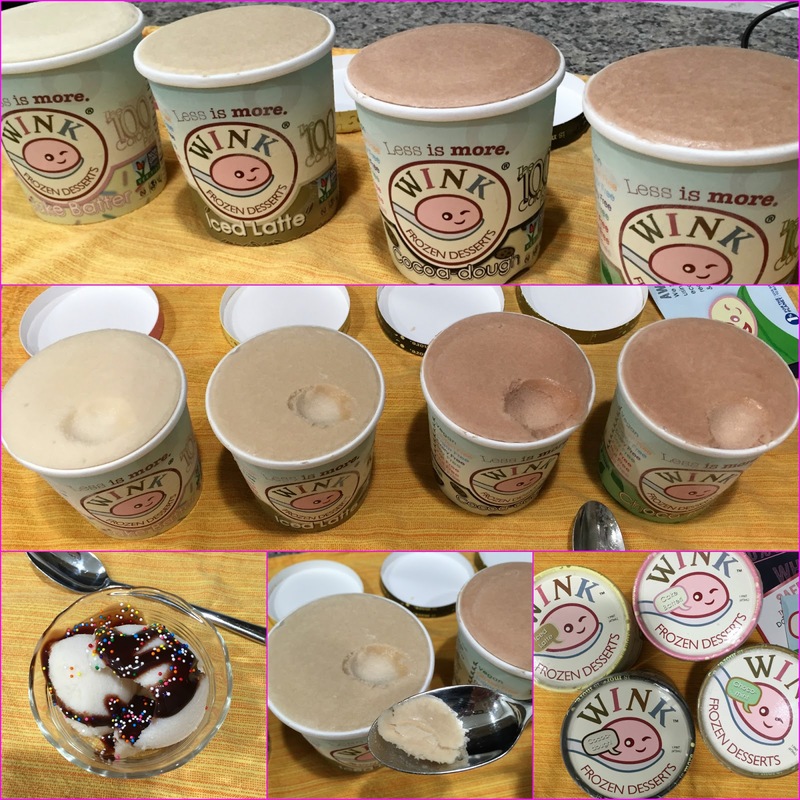 Their flavors are again...lighter...than ice cream, but more enjoyable and cleaner tasting than Wink. Because it's best to eat them well-thawed, I found that once I scooped them into a bowl, they melted fairly quickly. 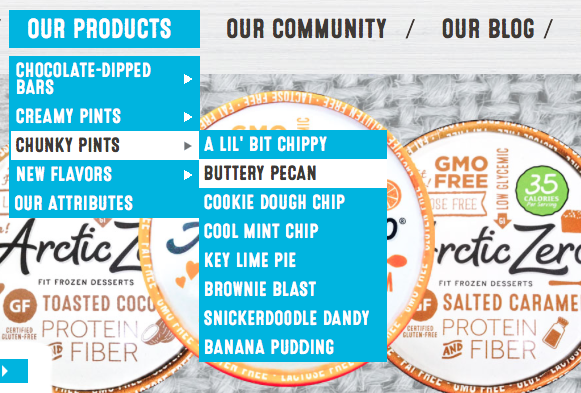 Arctic Zero also boasts a huge product list, including "chunky" pints and bars. The verdict: Arctic Zero is a nice alternative to ice cream if you don't want to derail your healthy eating. It's not ice cream, but it's a nice sorbet-like treat. Wink is alright if you don't mind that protein-mix taste that sometimes hangs around after certain protein bars and smoothies. One final note: You can purchase both of these brands in some stores, but they're not easy to find. I was able to find the Vanilla Maple Arctic Zero at a local Publix and bought it myself before I was offered the care package. There's one last brand along these lines that I'd like to try called Halo Top, but I think I'll eat what's in my freezer before I test it out! Arctic Zero sent me a care package of these flavors free of charge. I purchased the Vanilla Maple flavor and all Wink flavors on my own. All opinions are my own. Have you tried any of these frozen desserts? Are you ice cream/FROYO obsessed? I used to be OBSESSED with ice cream and ate it every night. For some reason, over the past year or so, I have not been as into it! Now that's not to say I don't eat ice cream from time to time, but we just don't always have it in the freezer. That being said, when I heard about Wink a couple months ago, I was skeptical. How could something that is NOT ice cream and full of protein actually taste good?? Thank you for validating my hypothesis! I am someone that if I want sweets I want something real, not pretend. (By real I mean full of sugar and junk!!!!!) But hey it's not people have this option if they are able to curb their craving with this stuff. There is definitely a time in my life I would have eaten something like this. The Wink desserts are...not great. But the AZ ones are good. Matt and I both really like them! I think because really sugary stuff has been making me feel gross the past few months, this is a good way for me to indulge without feeling like crap after. Once in awhile nothing will beat real ice cream, but I think this is a good way for me to eat it often without suffering tummy consequences haha! I don't know if they've changed it since I tried it, but the one time I tried Arctic Zero I thought it was absolutely disgusting and threw it out after a few bites. I've never heard of or seen Wink (and how come no one ever offers to send me free stuff???). Halo Top, OTOH, I did recently try (our local Whole Foods carries it & Arctic Zero, although AZ I'd bought a while ago somewhere else). The vanilla was reeeeeally good. Both my husband & I enjoyed it. The chocolate, oddly enough, was just meh. Maybe I need to let that one thaw a little. It's hot here today, so I'm going with some banana soft serve later -- there's been a lot of food this week! Time to buckle back down and eat a little cleaner. I can't vouch for how they used to be, but Matt and I both really enjoy the Arctic Zero pints. I've eaten some every day since they arrived and they're definitely helping with my ice cream cravings haha. Arctic Zero definitely fills that craving-need for me. I've figured out how to thaw it perfectly so it's still nice and creamy and cold, but so the flavors also come out more. I had it with peaches today and it was divine. I've put some chocolate chips on the Arctic Zero and that's yummy, but some of their pints are "chunky" so they have crunch in there! I seriously love the banana flavor because the vanilla wafers in it are good! 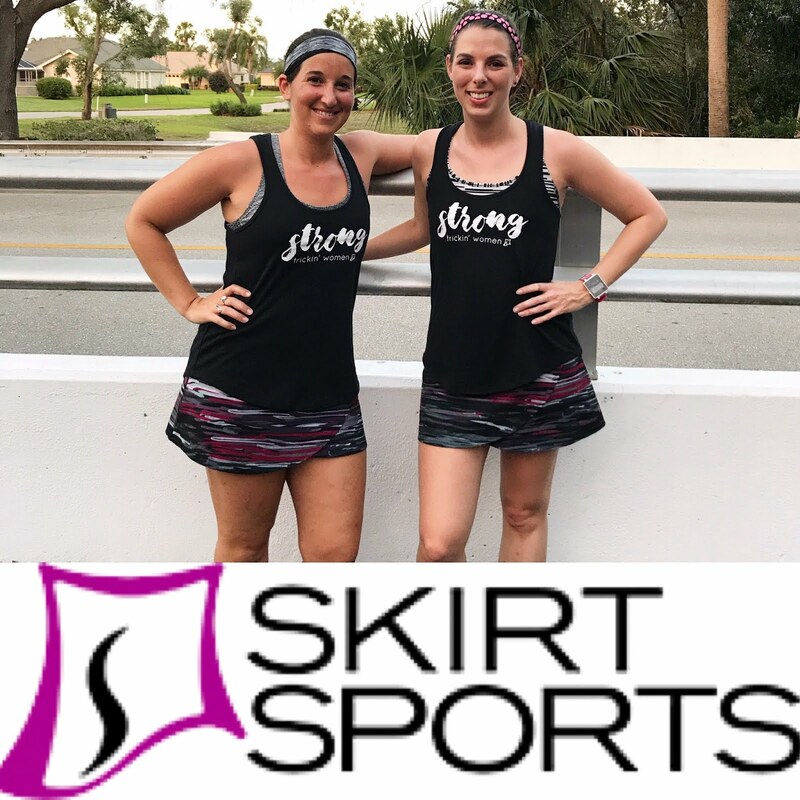 Thank you for this review! I thought I remembered seeing Wink on Shark Tank. Is that possible? Just from your review I don't think I would like it either. I may try AZ though. That's possible! It's the kind of thing that would be on Shark Tank. 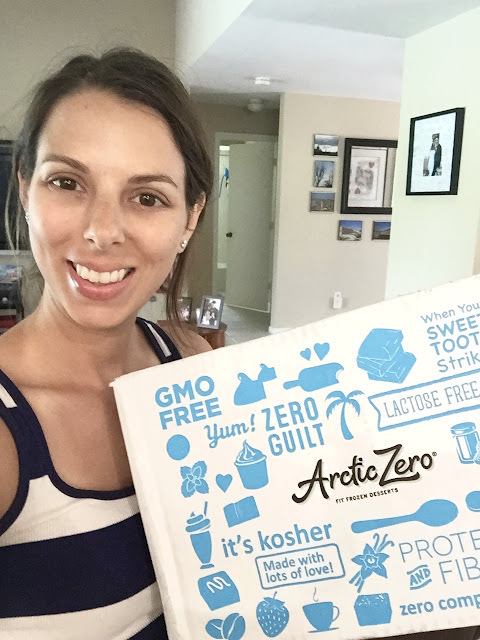 I'm going to give it another try because it's in my freezer, but honestly, the Arctic Zero is so good I've just been eating that!